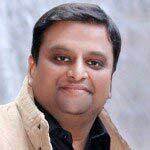 The creation of data was never a question until it became the base to understand the competitors. Businesses always want to extract the right information in order to make better, smarter and real time decisions. But the fact is businesses know and understand the fact that data follows them everywhere, it is in a meeting, in the presentation of the meeting, the reason for the meeting and the output of the meeting so in short data is here, there, and everywhere and so is the need of its analysis. Of course, with exponential increase in data, there are primary visualization tools and techniques helping the businesses to understand their data and consequently illustrate the underlying issues and guide businesses to make use of their data. We already know the reason of why visualization is an inevitable part of businesses but conventional visualization is just static. The graphs and charts are just replication of what data is, they don’t tell a story so which type of visuals tells a story should be the next question. In this realm of enormous data we shouldn’t be just working to make the data smart, but its smart visualization tools. Visualization – is it a need? With the enormous presence of data, it is impossible to convey information of these large data sets until you present it visually. Visuals are better way to ingest large amount of data within minutes and helping businesses to extract information from this humongous sources. A well designed graph and charts are conventional way of converting huge information into simplest yet powerful visuals. Visuals support businesses to discover something that was not known to enterprises. Not just in meeting rooms, you rush to a road it is the same issue there as well. In a research it was found that more than 65% of severe traffic is happening on roads leading pedestrians to occupy only 6% of walking space on street. How is a layman supposed to reach office on time if this is the situation at 9am in the morning? More than a million people died across the globe due to road-related incidents, reports WHO. 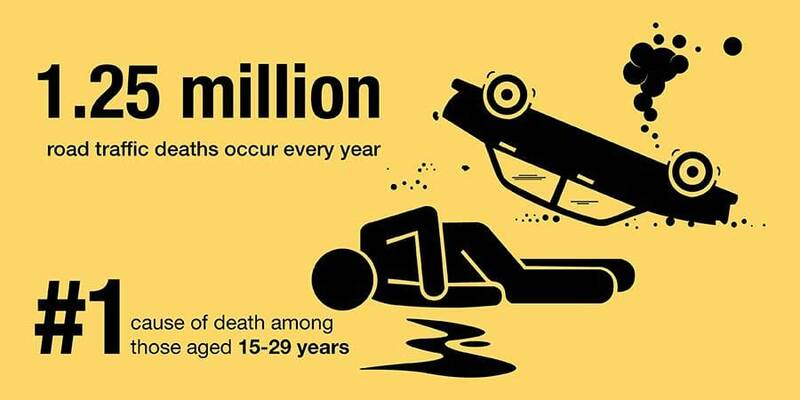 This proves that road accidents are the main cause of death among young people between 15 & 29. It nearly costs 3% of the total GDP every year to governments, globally. Was it simple to identify the cause of death and relate it to the traffic concern? I hear an upright ‘No’ but this is what data visualization is supposed to do. The city already had the collected data and on further research they analyzed through data visualization the cause of death of their inhabitants and thus adopted for vision zero. Your visualization is only worth if it discovers the unknown. However not all visuals are helpful, you may find it true that not all images say a story. You see a numb bar graph it indicates nothing but just your data, or a line graph showing your increasing sales couched in a slide show or a lengthy document. These visuals are ambiguous and misleading and do not reveal any information. Not condemning that these are not visuals, they definitely are but now it’s time to use smart visuals which reveals hidden patterns residing under your data and observing the relationships within data is the key to many strategic plans. Talking about smart visualization, it is essential how you utilize visualization and its tools. Varied types of visualization include exploring visuals, explaining visuals and presentable visuals and it depend on how organization wants to drive it. The presentable visual art looks the best but you cannot take decisions out of it they are just visually attractive. Now talking about the exploring and explaining visuals they tell a tale which is helpful and you can accurately grasp what the image conveys. As data gets bigger, it becomes a necessity for companies to make sure their each and every data is utilized. Let’s know how? If you want to explore hidden patterns and discover some closed information then exploring visuals will be a help. Otherwise, the explaining visuals are the cleanest and used the most. The simplest example of visualization is analyzing internal data; companies can easily understand their employee’s performance, their abilities and inabilities, areas of interest, flow of resignation, its month, date, reason of resignation, areas of expertise, training if required and many other concurrent factors which would help organization to take a precautionary step which would have been challenging if visualization did not exist. Data visualization pioneer Ben Shneiderman said the purpose of visualization is not pictures, but insight. So if you think that converting data to visuals is visualization then the perception is visualization is not persistent in minds of business leaders. Because visualization is created so that viewer doesn’t have to hassle around in comprehending data but instead image should say it all. When you see and like a visuals your customers do that too and once your infographics, videos and animated graphs captivated customers, you are no far in reaching to right customers without any effort. All what you need is collaboration with a good data visualization service company who would make your mediocre images to self-explanatory ones. 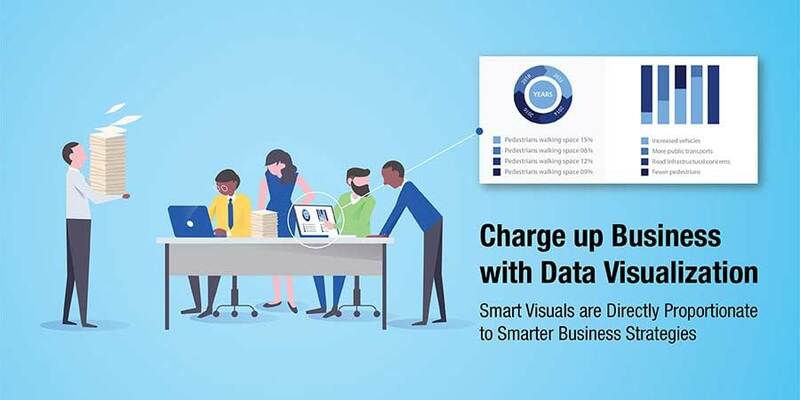 As visual literacy rises, businesses will no longer have to find answers to questions like will data visuals communicate the information or not? Or Will data visuals be interactive and comprehensible or not? Or Will data visual solve our analytic problem or not? All this will have an answer that is with every data becoming smart its visual will get smarter too.